If your vehicle’s windows have sustained damage such as a large crack, then you will need to get it replaced. However, with all the auto glass options, this may quickly become a hard decision to make. Let’s take a look at what kind of quality is available. 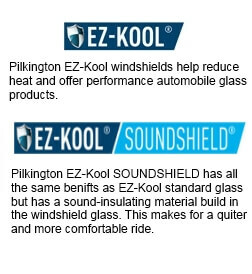 Essentially there are three different types of windshields which most auto glass repair shops will use. These include – dealer glass, OEM (Original Equipment Manufacturer) glass, and aftermarket glass. This is auto glass which you can purchase from a dealership and has been authorized by the vehicle manufacturer. Glass of this kind is sourced directly from the same OEM manufacturer who makes the original vehicle’s brand. Most of these also come with a stamp of the vehicle’s make. So if you have a Honda and want to have windows which says that it was made for Honda, then a dealer glass is what you are looking for. OEM windshields are made to the same specification as dealer parts. Moreover, they are not necessarily used by the automobile company which made your vehicle. For instance, OEM windows designed for Toyota will have the same specs (thickness, transparency, color, size, and shape) as the one used in Toyota vehicle. However, may not be from the same manufacturer who supplies these to Toyota. Why is this so? Well because auto companies like to renew their glass contracts with OEMs on an annual basis so the windshield company which made windows for your vehicle’s brand in 2010 may not be the same company which is making them in 2013. However, note that this does not mean their OEM products is inferior to dealer glass. In every situation, it is just as good since it is the same as OEM. Also known as OEE (Original Equipment Equivalent) products, these are made by companies which have never had any affiliation with the auto brands. Such companies also do not have any legal rights to manufacture windshields to the same specs as OEM parts. OEE windows less expensive than OEM and are often thinner and will not carry the same guarantee either.